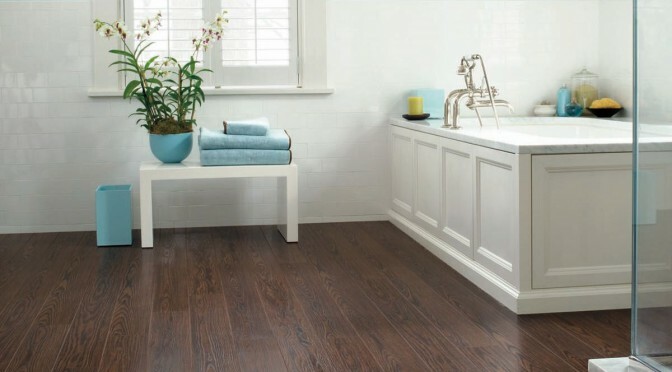 If you’re considering wood flooring for your home, you’re not alone. According to the National Wood Flooring Association, approximately 900 million square feet of wood flooring was sold in each of the 10 years spanning from 2003 to 2012. That’s enough flooring each year to cover nearly 19,000 football fields! There are many theories as to why wood flooring continues to sell so well, especially with the newfound popularity of porcelain tile and the advent of plastic-laminate planks, but it really comes down to one simple reason: There’s no substitute for the natural beauty and warmth of real wood. Wood flooring comes in dozens of different styles, sizes and wood species, but there are only two basic types: solid wood and engineered wood. Traditional solid-wood flooring is exactly what you’d expect: Each floorboard is milled from a single solid piece wood. Engineered-wood flooring is an all-wood, laminated plank that’s manufactured from pieces of wood, not unlike plywood. Solid-wood flooring is commonly available in narrow strips, wide planks and parquet squares. Strip flooring, the most popular and traditional of all wood floors, measures between 1½ and 3 inches wide. Hardwood-plank floors range from about 3 to 7 inches wide, and are often installed in larger rooms and wide-open spaces. Parquet flooring comes in pre-assembled tiles or can be custom-made from individual wood strips. Parquet is ideal for creating eye-catching geometric shapes, weaves and herringbone patterns. All three flooring styles come unfinished or prefinished, and in thicknesses ranging from about 5/16 to ¾ inch. Many builders and homeowners choose traditional unfinished hardwood-strip flooring—in either red oak or maple—because it’s affordable, attractive and can be stained or left natural. However, unfinished wood requires sanding, staining (if desired), and the application of a clear topcoat finish. Prefinished wood flooring costs more than unfinished flooring, but it doesn’t require sanding or finishing, making it ideal for DIY installation. As soon as the last plank is installed, you can nail up the baseboard molding and carry in the furniture. Prefinished flooring also comes in thinner planks than unfinished flooring, which creates less trouble when transitioning from one room to the next. Note that wood is a renewable resource, but some species take so long to grow and are being harvested so quickly they’re no longer considered sustainable. To ensure that you are buying responsibly harvested wood flooring, confirm that it’s certified by the Forest Stewardship Council, or a similar environmental agency. Engineered-wood flooring was introduced to North America in the mid-1980s, and quickly became the most popular type of do-it-yourself wood floor. It’s composed of three or more wood layers that are glued together into long planks. The top layer is composed of a thin solid-wood veneer. This laminated construction creates a floor that’s much more dimensionally stable than solid-wood flooring, so it’s less likely to cup, split, shrink or warp. And there are more than two dozen wood species to choose from, including both softwood and hardwood. Most engineered-wood planks measure between 3 and 7 in. wide, and are 7 to 8 ft. long. They range in thickness from about 3/8 in. to ¾ in. And although a vast majority of engineered-wood flooring comes prefinished, in some parts of the country you can find unfinished planks. When shopping for engineered-wood flooring, be sure the top veneer is at least 1/8 in. thick, which will allow sanding and refinishing, if necessary. And price is a good indicator of quality: Higher priced floors typically have a thicker core that’s topped with thick veneer. You’ll also notice that the flooring comes in three basic styles: one-, two- and three-strip planks. Those terms refer to the number of veneer strips visible on the top layer. A one-strip plank resembles a single, wide board. (It’s the most popular style of engineered flooring sold today.) A two-strip planks looks like two narrower floorboards. The three-strip plank most closely resembles a traditional hardwood-strip floor; each plank appears to be three narrow boards. 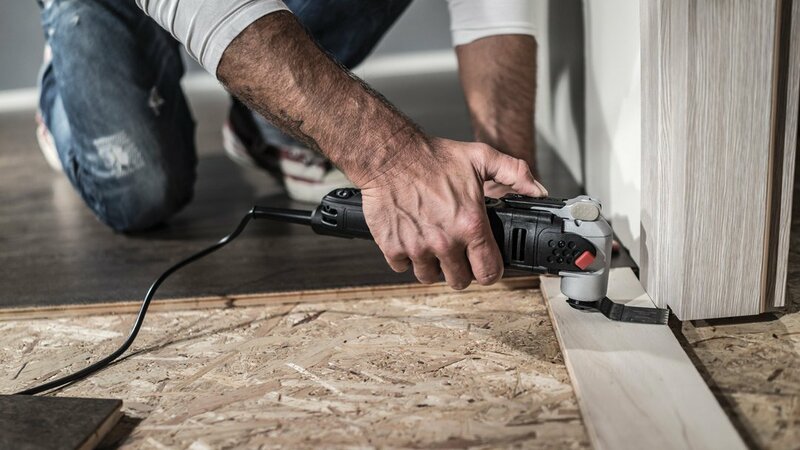 The reason DIYers love engineered-wood flooring is that the planks snap together with tongue-and-groove joints and “float” over a thin foam-rubber underlayment. There’s no nailing or gluing, so installation is quick and neat. Plus, the planks can be laid directly over most existing floors, as long as the surface is hard, flat, and in sound condition.